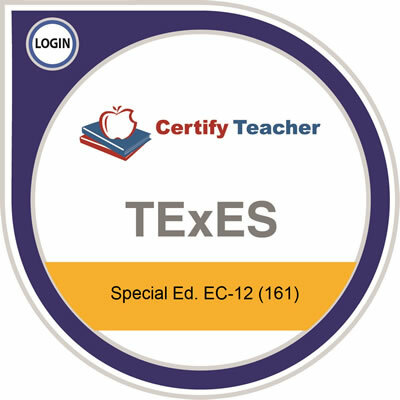 TExES™ Special Education EC-12 tests your knowledge on four domains: (1) Understanding Individuals with Disabilities and Evaluating their Needs, (2) Promoting Student Learning and Development, (3) Promoting Student Achievement in English Language Arts and Reading and in Mathematics, and (4) Foundations and Professional Roles and Responsibilities. 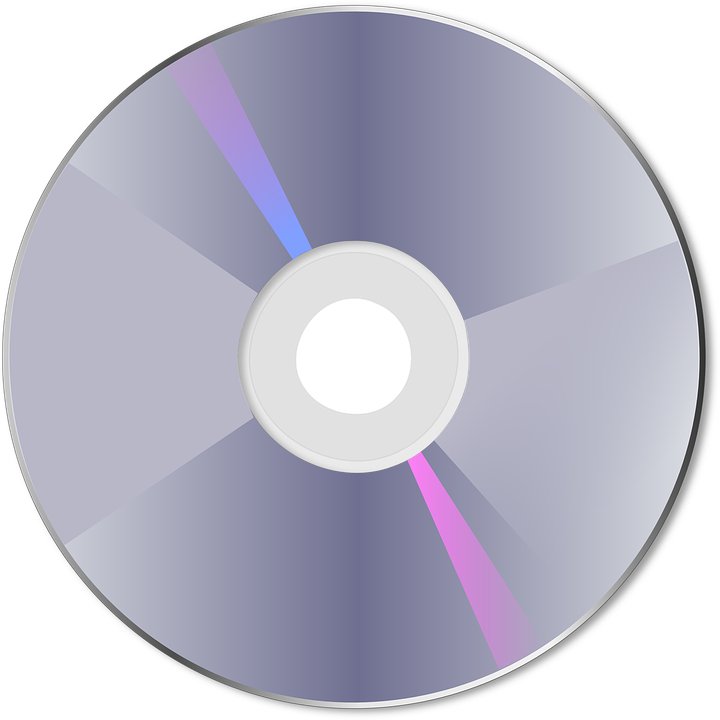 Within each domain, the content of the test is further defined by a set of competencies. 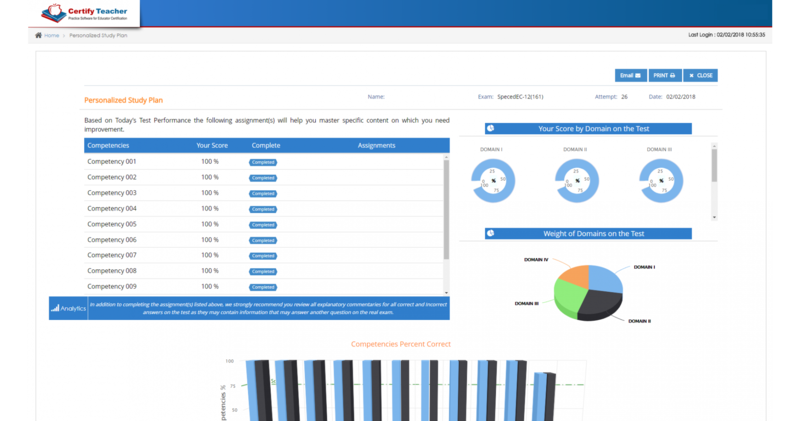 The exam covers 12 competencies in all. 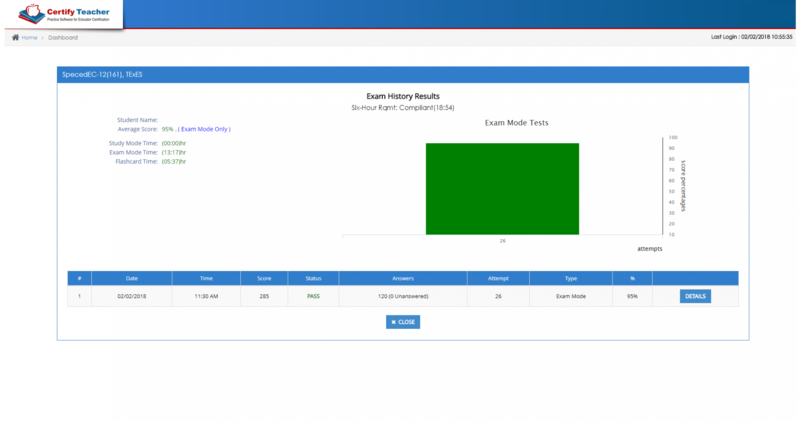 The TestSim® SpecEd EC-12 simulation software will prepare you to succeed in this TExES™ test on the first try. 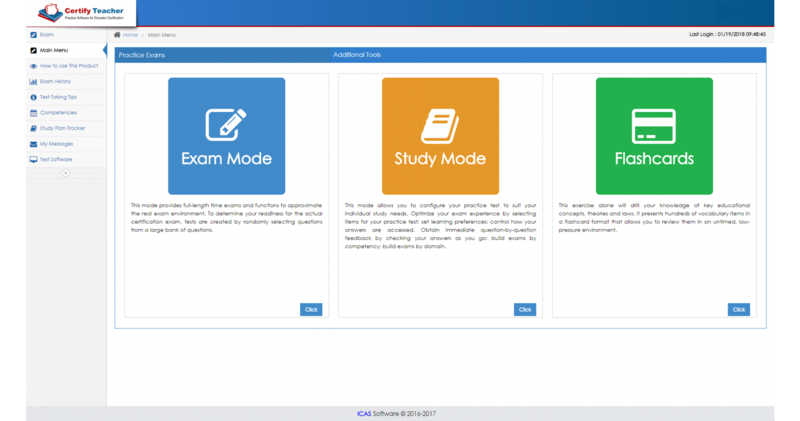 The software features three modes (Exam Mode, Study Mode and Quiz Mode); (a) covers all the domains and competencies with realistic, randomized exam questions; (b) provides detailed answers and explanations; and (c) gives a score report showing a graphical display of your test score with a breakdown of scores by competencies. 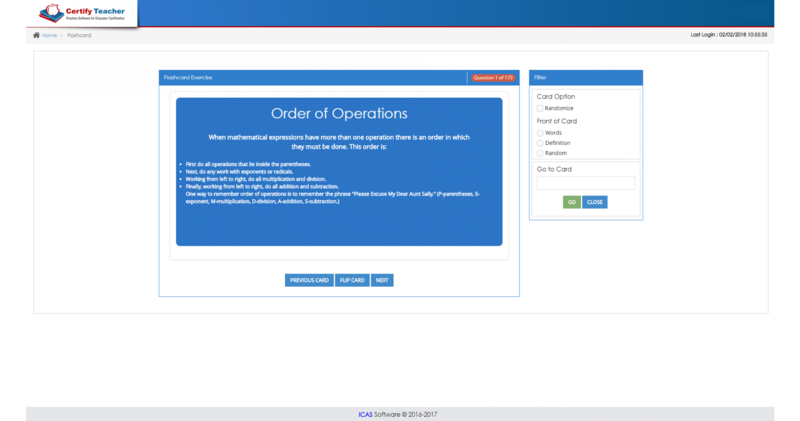 In addition to the full-length, 5-hour simulation Exam Mode test, Quiz Mode and Study Mode tests, this software features Flashcards to provide you with an easy way to reinforce key educational concepts, theories, and laws covered in the practice questions. 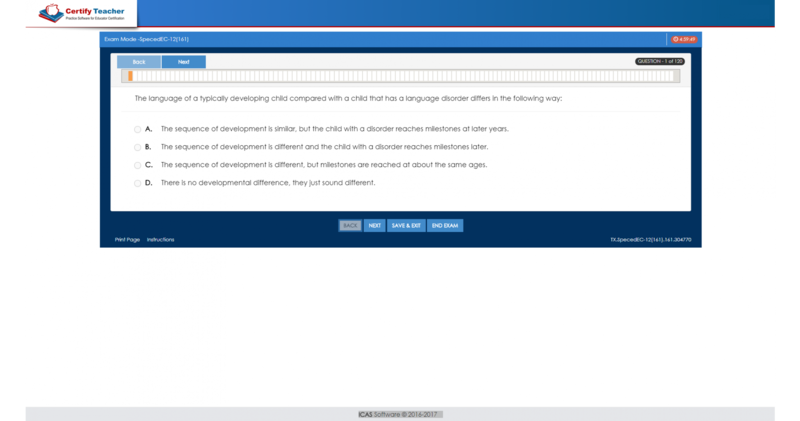 Practice questions were developed following guidelines of the actual TExES™ test framework as defined by the Texas SBEC – State Board for Educator Certification.